Sand is now easily make-able! All you have to do is smelt stone and you will get sand! Since sand was previously very rare and was a donator item, sand has been replaced with emeralds in donator kits. I feel this is a fair replacement and everyone seemed to agree. I updated the buycraft page for buying pets due to request. Hunger Games Kits Now Available! Hunger Games Kits Now Available for Purchase! I finally was able to be on at the same time as a creative world crash and was able to run some diagnostic tools while the crashing was happening and found out the problem was wayyy too many entities in the member world. 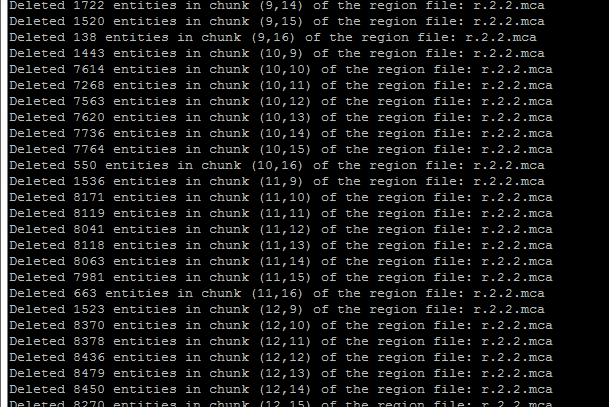 I ran a world entity cleaner tool on the server and it deleted thousands of entities in a small area. Kinda mad that a member would abuse the server like that but whatever it is fixed now and there shouldnt be any more random crashes.